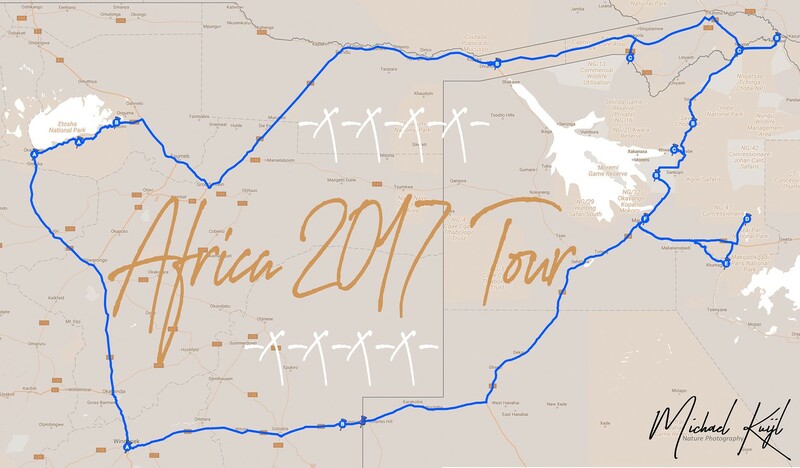 Traveling towards Africa requires a plan, focus, and patience. The first time we traveled to Africa "off the beaten track" we just took a standard trip from a brochure and 5 months later we were in the bush, life was simple then. Nowadays we at least plan a year ahead, creating a route, start booking campsites and based on the availability re-route without changing the objective of your trip. 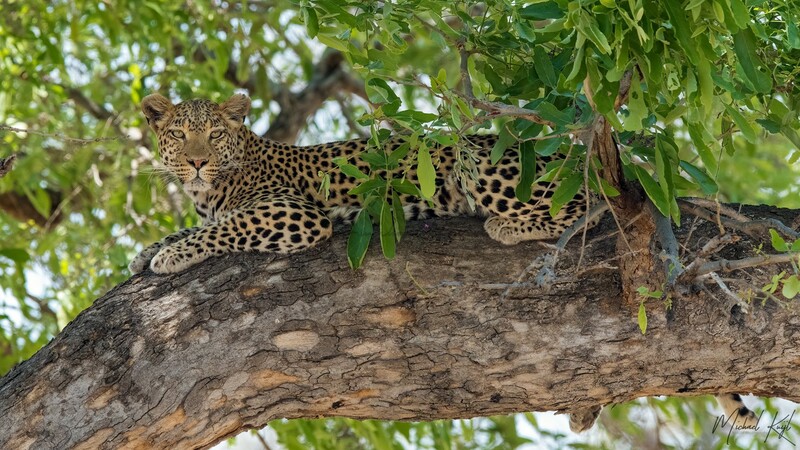 Our focus, next to just being in the bush was to find and photograph a wild & free leopard in a tree, on our own with no other person around; tranquility to the max. 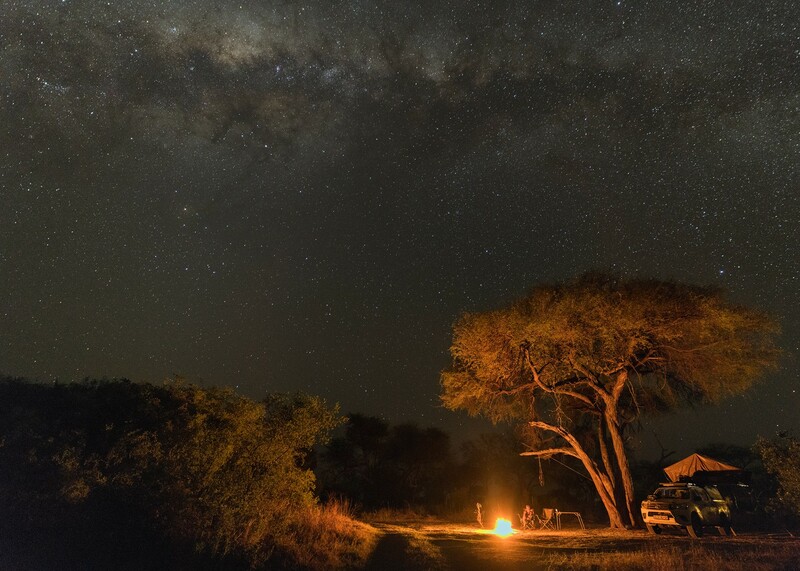 Camping is just tranquil so the first objective was achieved as we camped, remotely without any facilities in Botswana. Being surrounded by animals, the smell, dust, the heat and sleeping under the bright stars is just amazing. The 12 hour daylight days are ended by a short red sky and swiftly change into the phenomenal night sky. Surrounded by natures beauty can be a trap to lose focus. Flipping from one subject to another can fill-up the days with happy moments, the options are endless but the day counts 12hrs. So we kept searching for our cat, finding and tracking tracks and bush drive the beaten track till we finally found one that was moving to the impenetrable bush. But yes we saw our elusive cat, a beautiful male leopard. As days progressed we spend time with a pride of lions, wild dogs, hyenas...till we found the beauty in a tree. We were able to spend hours with the leopard, without anyone around till the spot became too warm she gracefully disappeared into the bush. I was able to take many photos with different lenses/poses/interactions as she was just doing her thing. Tranquility surrounded our car as we left that spot. On this trip, I took the newly introduced Nikon D850 with me as the second body next to the Nikon D5. Just received this camera and unboxed it just days before the trip, leaving my D4s/D810 behind. Choices and focus because the battery grip wasn't available on time, are the 7fps enough? I can only write that I'm a happy man, the camera performed spotlessly in the African bush. ....The Photo trip 2017 was a success, with the proper planning we had a great balance of pacing along our route and had time to spot/find/photograph the African bush live. Wat een geweldige ervaring ,om zo’n wild dier te mogen fotograferen in de bush . Spreekt mij/ons erg aan aangezien wij een dergelijk plan hebben. Nog niet ingevuld echter omdat we nog andere trips maken. Ben benieuwd naar het totale plan en foto’s. De foto van de luipaard in de boom is in ieder geval prachtig!